CAS Building and Remodeling has over 25+ years’ experience in the Kitchen Remodeling business, completing countless successful commissions for clients in Weatherford, Southlake, Keller, Colleyville, Trophy Club, Aledo, Grapevine and Fort Worth. As one of Fort Worth’s most reliable and reputable Kitchen Remodeling Contractors, the CAS team will bring its considerable experience to the whole process of giving you the kitchen remodel of your dreams, from the first idea to the finished product. Our team of experienced contractors will first make a careful assessment of your premises, and listen to all the plans you have for your kitchen remodel. We supervise every step of the process, from the initial survey, through the planning stage, to the final installation by skilled craftsmen. CAS Building and Remodeling has over 25+ years' experience in the Kitchen Remodeling business, completing countless successful commissions for clients in Weatherford, Southlake, Keller, Colleyville, Trophy Club, Aledo, Grapevine and Fort Worth. As one of Fort Worth's most reliable and reputable Kitchen Remodeling Contractors, the CAS team will bring its considerable experience to the whole process of giving you the kitchen remodel of your dreams, from the first idea to the finished product. 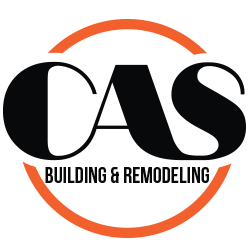 At CAS Building and Remodeling, it's our business to ensure that you get exactly what you want. You may be a gourmet cook who needs to have a lot of work space, stainless steel counters, and easily accessible Kitchen ware, racks, or you may want to make your kitchen a cozy nook with room for seating and traditional wooden furniture, while everyone will need a durable, easy-to-clean floor. As a family-owned and operated local business in the Fort Worth area, CAS ensures that only the best materials are used to carry out your project, and with access to the widest range of products available on the market, we can offer a stylish kitchen remodel at fair and honest prices. At CAS Building and Remodeling, it’s our business to ensure that you get exactly what you want. You may be a gourmet cook who needs to have a lot of workspace, stainless steel counters, and easily accessible Kitchenware, racks, or you may want to make your kitchen a cozy nook with room for seating and traditional wooden furniture, while everyone will need a durable, easy-to-clean floor. Bathroom remodeling service in Fort Worth, Aledo, Southlake & Grapevine, Texas.